Captain Toad: Treasure Tracker [Read]: You can scan your Mewtwo amiibo to receive 1-UP Mushrooms. Hyrule Warriors [Read]: You can scan your Mewtwo amiibo in once per day to receive a weapon rated 3 stars or lower, a Rupee bonus, or crafting materials. Mario Party 10 [Read]: Tap your Mewtwo amiibo to the Wii U GamePad to play Scratch Bonus and win Mario Party points, letting you unlock in-game bonus content. Super Smash Bros. for Nintendo 3DS [Read-Write]: Customise and train your Mewtwo amiibo as the ultimate sidekick, levelling it up to crush your opponents in Smash mode matches. Fight your amiibo against a friend’s to make them even tougher, while tweaking its attack, defense and speed stats in an effort to help gain the upper hand. 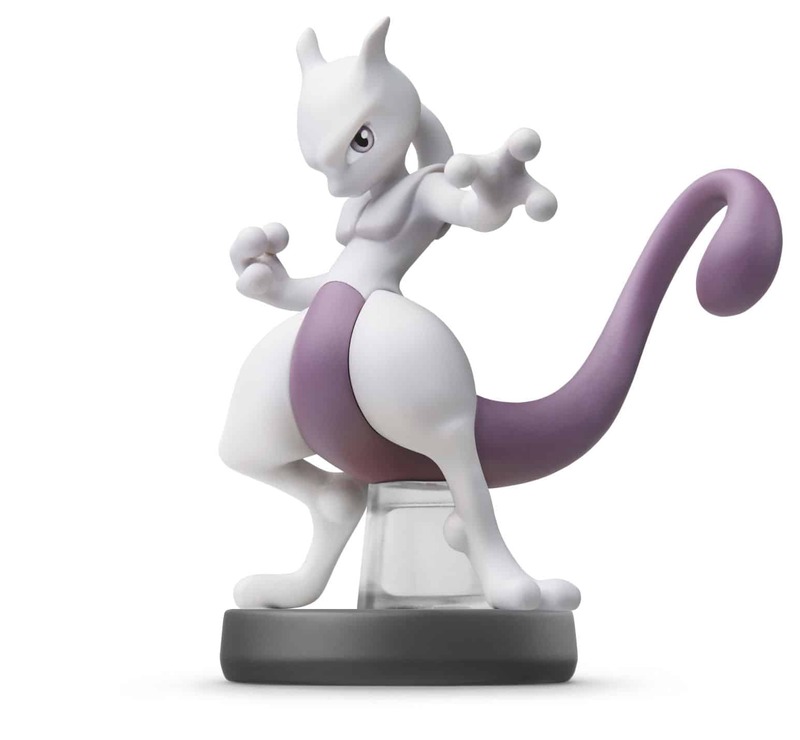 Super Smash Bros. for Wii U [Read-Write]: Customise and train your Mewtwo amiibo as the ultimate sidekick, levelling it up to crush your opponents in Smash mode matches. Fight your amiibo against a friend’s to make them even tougher, while tweaking its attack, defense and speed stats in an effort to help gain the upper hand.